We all need to exercise to maintain a healthy body. This is exceptionally important for growing children. Jumping on a trampoline is a low impact, low stress workout for your entire body, and only 15-20 minutes of bouncing is equivalent to 30 minutes of jogging! Jumping on your trampoline is a great form of exercise. Not only do the mat and springs absorb the shock of impact, so there is no straining on joints, but it is great for cardiovascular fitness, and an allover body workout. Repeated low impact exercise has also been found to build and strengthen bones and muscles. Trampoline jumping leads to better posture and balance, with an increase in flexibility and coordination. It also encourages bilateral motor skills as the brain is forced to function bilaterally when a jumper is in the air. The action of jumping on a trampoline whilst trying to maintain balance and coordinate bodily extremities and movements uses both your body and your brain simultaneously. Exercising is also great for improving ones mental state of mind and to reduce stress levels. When people exercise, endorphins are released which leads to a positive mood and produces a happier, more positive individual. Adding the benefit of fun, games and imaginative play; trampolining can be a great mood booster for your children. Bouncing on a trampoline is a great way to improve a child’s ability to focus and concentrate. A child’s ability to learn is greatly influenced by how well they can coordinate body movements. By helping a child learn to control and coordinate body movement, it can help a child concentrate, which in turn can assist a child improve academically. A trampoline can also teach persistence. It often takes many tries to master a skill on the trampoline, but because it is so much fun a child will naturally persist. There is always a new trick or new skill to learn and a new trick to master. 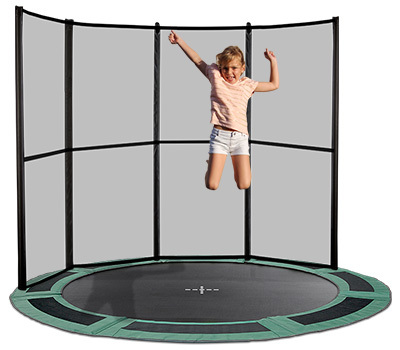 Trampoline exercise helps to improve self-esteem in children. A child will naturally gain confidence as they master new skills on the trampoline. This can translate into a better self-image and higher confidence levels. Trampolining is also good for children who are reluctant to begin physical activities. It is easy, offers immediate success and accomplishment and it is a real confidence booster and motivates to try harder. Even children least interested in sports will find it fun jumping on a trampoline and quickly develop new skills. This progress can greatly aide in giving their self-confidence a boost and encourage them to also engage in other activities. Most importantly trampoline jumping is fun!! It encourages creativity, game playing, and imagination and is a great safe source of entertainment. The most important thing when using your trampoline is to ensure you are jumping safely and securely. Ensure that you bounce in the centre of the mat and aim for a low, controlled and safe bounce. A great tip for beginners is to ensure they learn to stop correctly. Knowing how to stop quickly and effectively helps prevent injury. Stand in the centre of the mat with your feet hip width apart. Bounce 3 times, remember to keep them low and controlled. Then attempt to stop the bounce. This is best done by bending at your knees and dropping into a sitting position. Includes jumping 3 times in small, controlled bounces and then bringing your knees to your chest, essentially tucking them in. 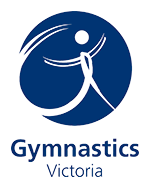 Includes jumping 3 times in small, controlled bounces and then landing in a seating position with your legs wide apart in a triangle shape. The pike is similar to the straddle but instead of having your legs apart you have them straight out in front of you.